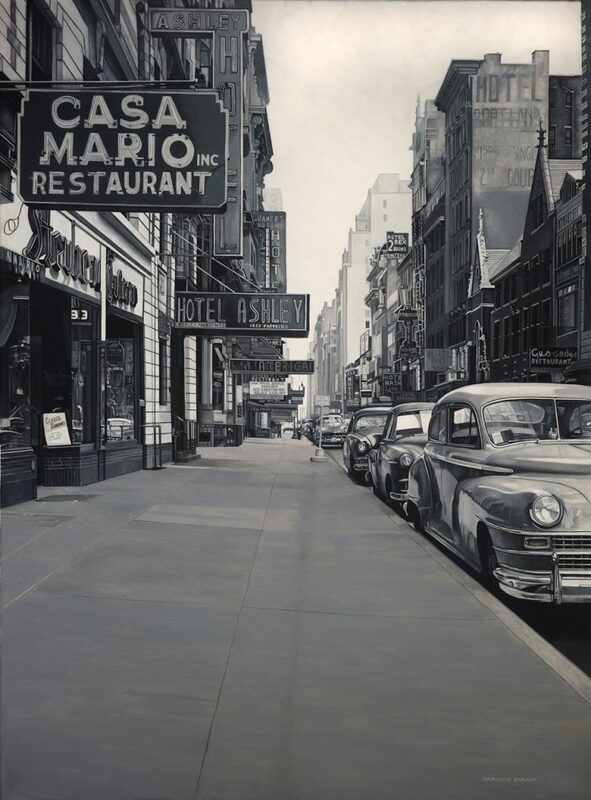 Harold Zabady is a multi-award winning US photorealist painter. 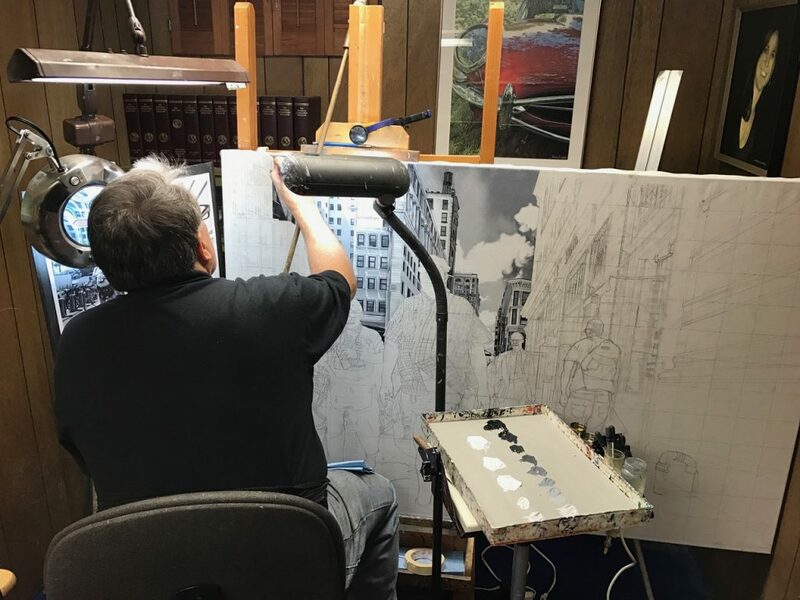 His work is focused on all the typical themes that distinguish the first generation of Photorealism: vintage cars, shop windows and ordinary scenes of everyday American life. 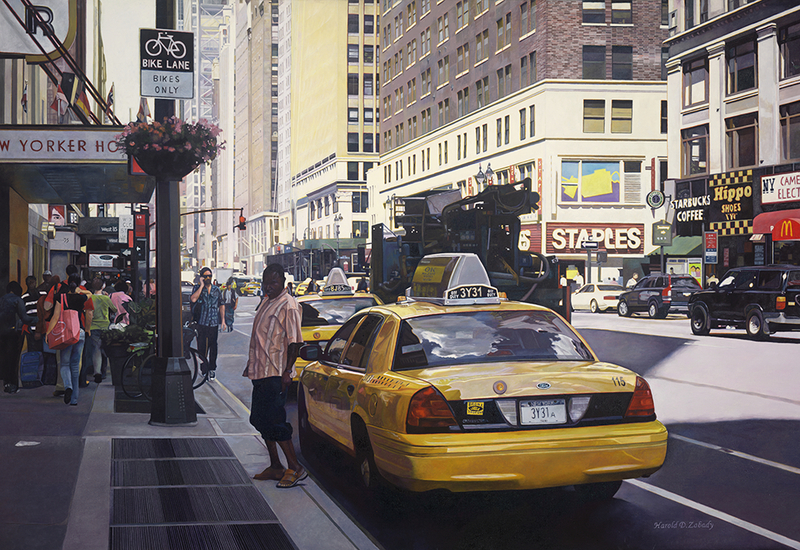 He is able to vary his work skillfully passing from cityscapes to portrait and automotive paintings. Zabady’s artworks are part of the classic photorealistic tradition, scenes full of elements where every single part is extremely detailed and well reproduced: they are fruit of long work, requiring patience and great pictorial ability. 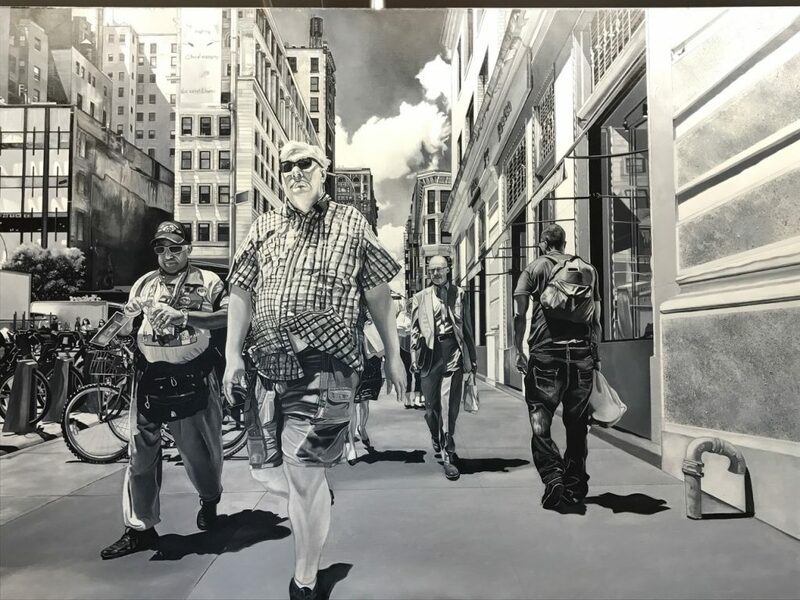 He portrays an unequivocal cross-section of the United States, main protagonist in almost everyone of his works with advertising hoardings, yellow taxies and walking crowd. showing the beauty often overlooked in everyday life. He’s currently represented by Plus One Gallery in London and is now seeking for a gallery in New York City. You can find more getting your own copy of Hyperrealism Magazine!